Something with the Haplogroup is studied and found that they are a very ancient ethnicity of human, one of the oldest still existing. Another group is the Hadza of Tanzania who also have a linguistic isolate and interestingly seem to recall archaic humans/hominids in their oral history. But this reminds me, who was Herto Man? http://www.bradshawfoundation.com/origi ... idaltu.php Seems more like a regular modern human to me, go to Walmart for verification. Speaking of which, http://www.bradshawfoundation.com/news/ ... anderthals So much for "ape men"
Re: San people one of the oldest in the entire world. 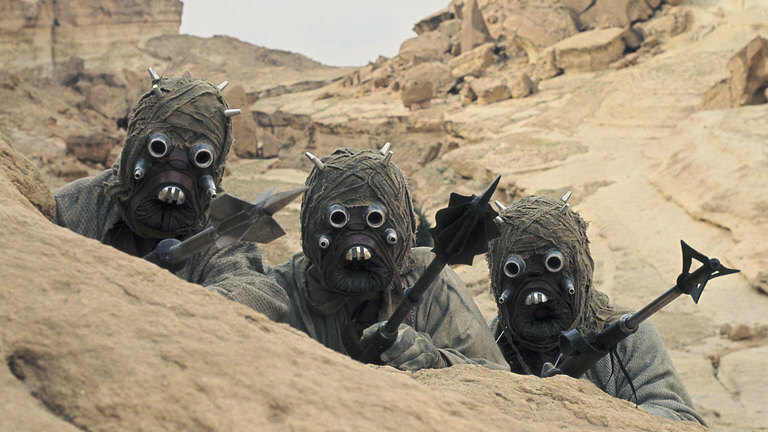 For reference, Here's a picture of Sand people. Can't tell who they are but they look like Sith.